My sister has a Kia and It’s one of my dream cars so I know where i’m going for my first one , oh and btw Chris has really good service and will provide you with all things necessary ! I know who i’ll be going to when I need help !! Great customer service skills Linda !!! Linda is a great receptionist. She is a people’s person, has a good positive attitude and knows how to assist a customer when needed. She was so helpful with answering my questions and referring me to speak to right people. She’s my go to whenever I call or visit this location. Thanks Linda! Great staff! I was pleased at how organized they were! Linda the receptionist was hilarious as i waited to see a salesman. Picking my new car was a breeze! I have already recommended Stamford Kia to a friend. 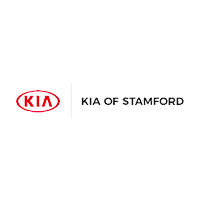 Kia stamford is a great place, I have a GMC car and they take care of it better than my regular dealer, Oscar is a good mechanic, fixed everything on my car and Juan Zapata is very respectful, professional and always looking to make my visits a good experience, recommended 100% . Kyle was great to work with. He was easy to talk to, understanding and incredibly helpful. He made leasing a car so easy. It was a pleasure to work with him and Kia of Stamford as a whole. In my opinion in any business Every department has to work together to be successful. Kia of Stamford has a an exemplary service department headed up by a gentleman named Brian. The receptionist Astrid and the front counter person Juan have always been very accommodating. I know that the main office may think this is long but it is well deserved. Honest, fun and fast. Chris was very knowledgable!